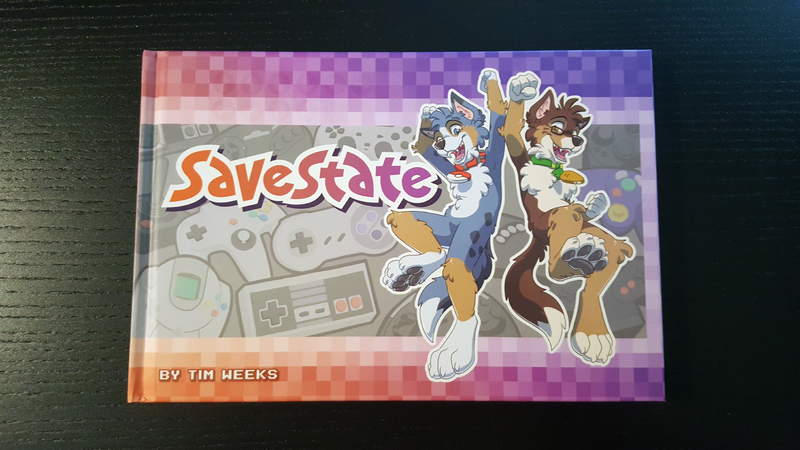 I’ve been working on this for almost the entire year but it’s finally here: the Savestate vol 1 book in paperback and hardcover! Collects the first three years ending on the comic where Riley gives Kade a Famicom Classic for the Holidays. A 9 page bonus comic that fills in some of the Savestate backstory and introduces Uncle Scooby. Pictures of the real life Kade and Nicole: Ivy and Mandy. Bios of the main cast. And bonus art from those first three years. The paperback version is $15 and the hardcover is $25. The internal pages are exactly the same so it really comes down to your personal preference. The book will be available first at Midwest Furfest 2018 convention. 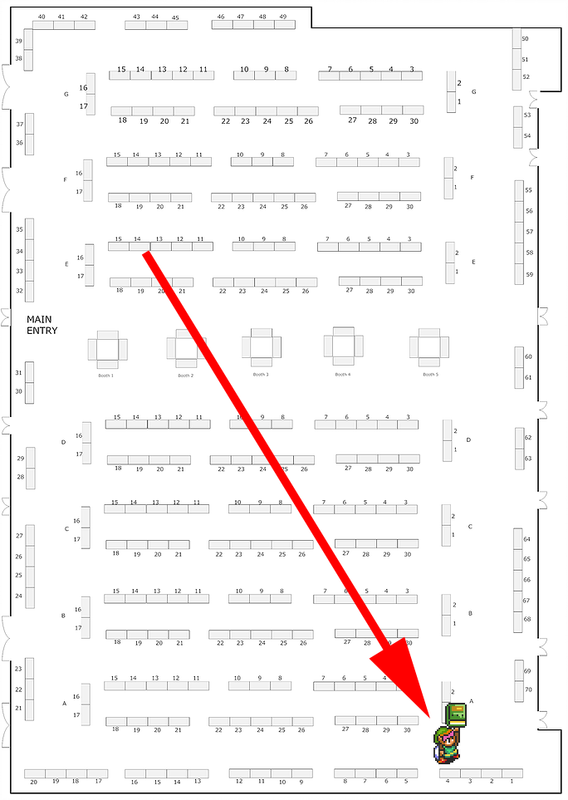 This year I’ll actually be in the Dealers Den at table W4. Here’s a map in case you get lost. I’ll also have a few other new things at MFF so stop by and check them out. After that the book will be for sale online and I’m looking into how best to sell a PDF version if you’d rather have a digital copy. Yo! This is so cool!! I’ll be buying one for sure! I hope it’s available through a legitimate online company like Amazon. 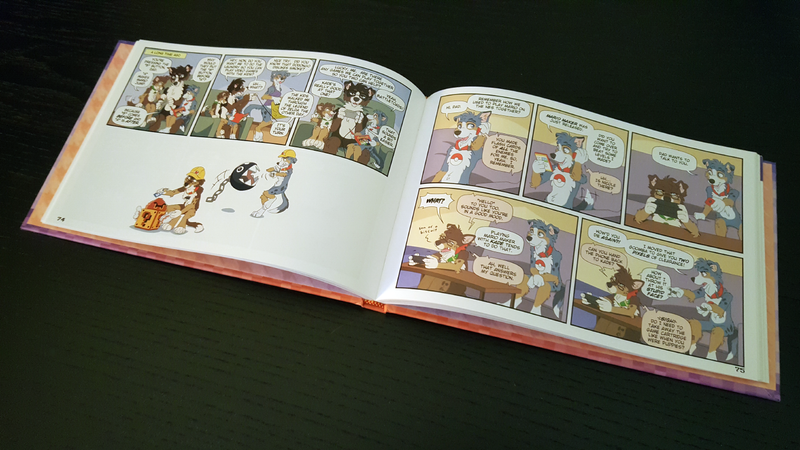 I’m still waiting for my TwoKinds books I ordered over a month and a half ago. Anyway, I can wait. This is so exacting. I can look into Fulfillment by Amazon again. Last time I checked it was a very expensive process. They charge for storing the item and then take a cut to cover shipping and handling. If you buy direct from me online I’d have to charge for shipping anyway so maybe if I add that cost FBA could be viable. We’ll see how it works out. Even though Amazon can be expensive I hope that a e-book can be made available if possible. Oo. I do hope it will be available on Amazon. Oh man I so want this. Congrats on getting printed, here is to a successful run! Is there maybe a way to find a distributor outside the US to save on shipping? If you or anyone in Europe knows of a good book reseller please let me know. For example, in the US we have Rabbit Valley comic shop. I’ll ask around at MFF and see if any of the other dealers have any ideas. 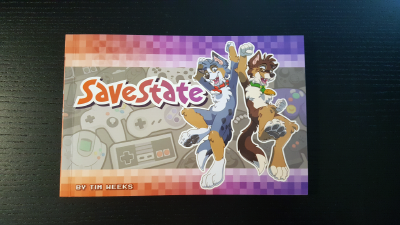 Will you be at Furfest the entire time? Yep. I might try to duck out on Thursday evening before things get going and spend some time at Galloping Ghost Arcade. Tim, if you’re looking for a way to sell the strips as a PDF it would be very appreciative by all if they were in their original resolution, as opposed to the scaled down counter-parts available on the website to justify whatever price you sell them at. They have to be scaled down or compressed to some extent. The full PDF document is 6.22 GB. My computer can barely flip through the pages there’s so much data. It’ll probably end up being double the resolution on the website. Oh yeah I’d hate to buy/download a 6gb PDF only to have it stutter when I view it. I understand man if its compressed/scaled down, I was just giving some insight. Speaking personally, I’d love to have a 6.22GB PDF of Savestate! Oh dear. I fear your stock may sell out before I have a chance to swing by the Dealers Room to pick it up from your table. Well, one can only hope! Oof. I hope to buy a copy someday in the future! It looks like a great read! Not as good as someting like Fire Emblem, but for a book, it looks great! I’ll be watching for the Online sales, I wasn’t able to make it MFF due to car issues and other plan interferences, but I will be getting a copy once I can order it online. Aww man that’s another thing to add to my list of things I missed out on by not going to MFF. Hope those books become available sooner than later.